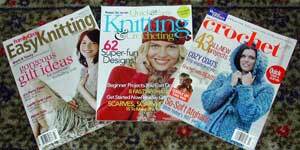 This seems to be the month for crochet magazines, doesn’t it? ;-) Better Homes and Gardens came out with the long-awaited second issue of Simply Creative Crochet (the first was in 2003) and Woman’s Day published the premiere issue of Quick & Easy Knitting & Crocheting. 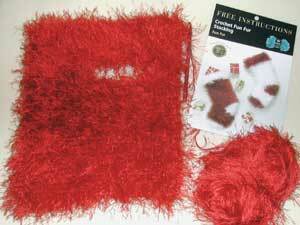 There are even a few crochet patterns in the Holiday 2004 issue of Family Circle’s Easy Knitting. The popularity of every craft waxes and wanes over time and we are waxing now! 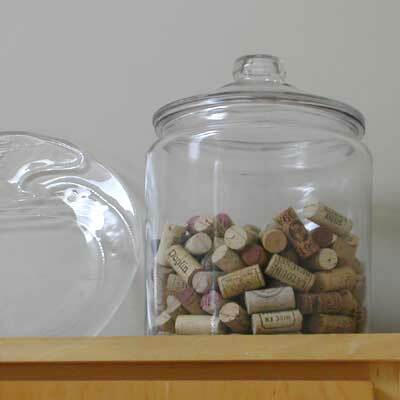 Speaking of Walmart… the jar I bought for my corks went back to Pier 1. I stumbled upon one nearly twice as big, for $12 rather than $15, at Walmart. 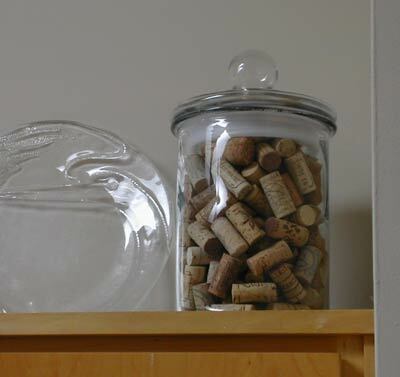 And it’s more attractive because it doesn’t have the big plastic seal around the lid. How cool that you corcheted when you were young. My daughter (11) pics it up occasionally, but has yet to finish a project. LOL. I agree, it’s great to see decent crochet magazines out there. I too am a child of the 70s. My first projects were a purse, and a vest made of two large granny squares. I still can’t quite believe 70s stuff is back in. I can’t wait to see your stocking finished, Donna! :) I really need to make a run to my Walmart to see if they have that pattern. I have all these mags, too! I want to get interweave crochet, but I don’t want to spend the $. I’m so glad that there are magazines with with interesting crochet out there. I crochted Christmas stocking for my nieces and nephews last year, but will make a couple to keep this time around. I just found my leaflet with the pattern. I’ve been reading your blog for the past month, and I have to say… I hate tomatoes, but I looooove yours! have a great day and keep up those tomatoes! Oh, that is so going to be a cute stocking. Now I definitely can’t wait to see it.